Mailbox Remedies is a local, small business that specializes in mailbox installation. We want to be known as your one stop, mailbox shop. You can purchase mailboxes and mailbox posts directly from Mailbox Remedies. We will bring your new mailbox to your home and provide you with a professional mailbox installation. If you purchase your mailbox from another supplier Mailbox Remedies will install it. 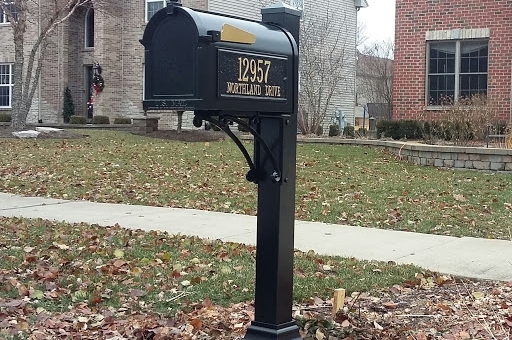 Mailbox Remedies provides mailbox installation service for most of the Greater Chicago Area and parts of Northwest Indiana. Our mailbox installation service starts at $140.00. This will include removal of your existing inground mailbox post and mailbox. Mailbox Remedies will prepare a hole to support your new mailbox post ensuring that your new mailbox is at the proper height and distance from the curb. The hole will normally have a depth of 24 inches. In some cases the depth of the hole is determined by the manufacturer of the mailbox. In this case, Mailbox Remedies will follow the manufacturer guidelines for the mailbox installation. Once the hole is complete, the mailbox post will be cemented inground and all required assembly of your mailbox will be completed. The service area will be left clean as if we were never there. You can expect an addition charge of $6.00 for commercial grade, crack resistant concrete. 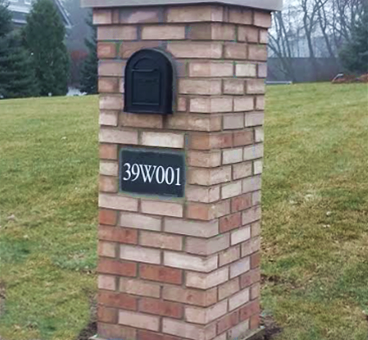 Some mailbox brands require a 4x4x6 weather treated wood post for installation, In this case, an additional $9.00 will be added to the invoice. 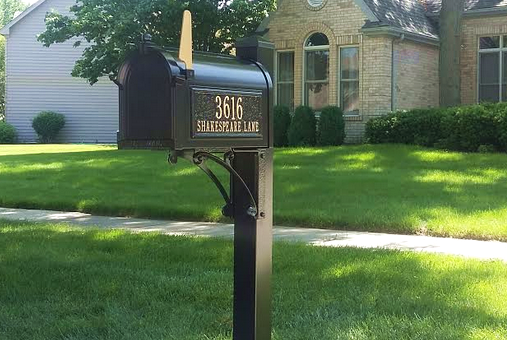 All in, you can expect to pay $146.00 – $154.00 for your professional, inground mailbox installation. If you purchased or plan on purchasing a mailbox that requires a cement slab to be poured here is the procedure and cost for this type of mailbox installation. A cement slab mailbox installation will be completed in 2 parts. The first part requires preparing a 16 inch by 16 inch hole at a depth of 3 feet. The hole is filled with cement that is reinforced with rebar. A wooden frame is used to make sure the concrete work is appealing to the eye. Once the concrete sets the wooden frame is removed. The second part will take place 2 to 3 days later and this will include anchoring the mailbox post to the concrete slab using cement wedge anchors. All assembly of the mailbox will take place during this step. The cost for this type of installation is $200.00 for labor and approximately $40 in materials. Materials will include wood framing, cement and anchor bolts. Please use our contact us form for all inquiries.